Four friends, three of them cousins, one a poor city mouse, meet each summer on a private island. They are called the Liars. They name each summer with their age. Together they explore privilege, their friendship, forbidden love, and the mythology and reality of being a Sinclair. Summer 15 something big happened, if only Cady could remember what. I can’t tell you any more without spoiling the book. But I can say, I usually steer away from books about these sorts of privileged kids. They turn me off. This one didn’t. We Were Liars kept me up late reading. The suspense and clues seemed perfectly balanced. I was engaged in wanting to know what happened. I received enough information to avoid being frustrated but not so much information that I guessed the end far in advance. 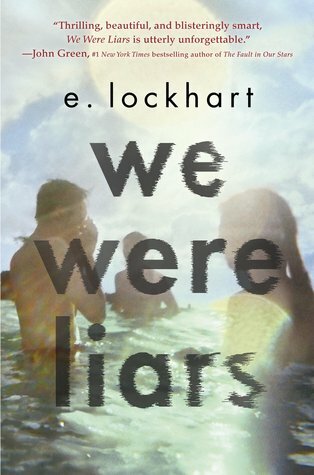 I got We Were Liars from the local library because I remembered how much buzz it had generated and how many agents have been using it as an exemplar of what they’re looking for. I’m glad I read it. Read it yourself. I think you will be glad you did. Thanks, Sarah. Sounds like a good one to bring on vacation–for both Maggie & me!